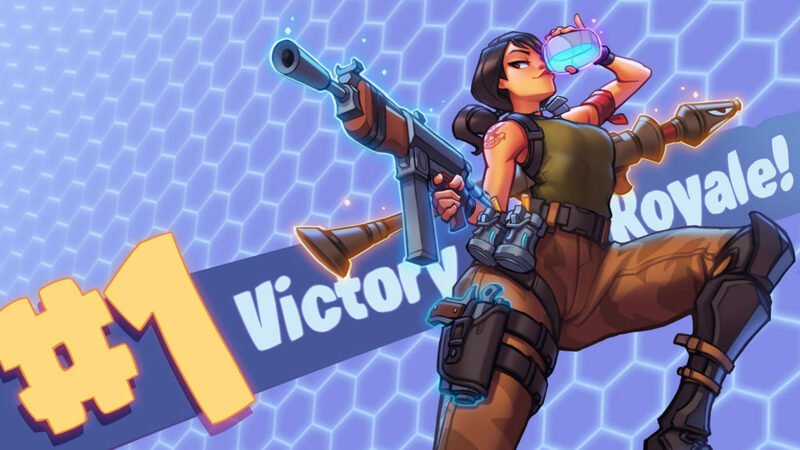 Ever since Fortnite became a free-to-play game on all softwares in 2018, the game has exploded in popularity. Since then, Fortnite has become available on mobile devices, reaching a wider range of players. Fortnite, developed by Epic Games, is a simple concept game where the players jump from the “Battle Bus” onto an island filled with weapons and structures to use in any way they wish. Fortnite is unique because the game allows a player to build an entire structure out of materials found around the map, this tactic is most frequently used when they are being attacked or trying to gain a height advantage over their opponent. Despite being a free download, Epic Games still makes a great profit from the game because they include in app purchases, the most common being the battle pass for the current season which costs just $10.00 and can be a one time purchase. Epic sells “V-Bucks” which is the currency used in the game. Also included for purchase is different variations of skins to wear on your character, gliders, or even dance moves, called emotes. Different deals come about every week, with new designs for players to get excited about. Purchasing a battle pass or different skins does not grant any competitive advantage. Although the game is exploding in popularity, one major flaw includes the problem of PS4 and Xbox One players not being able to play together. Cross Platform play has been discussed a lot over the years, but with a game as popular as Fortnite, players have been demanding it more than ever. The owner of Epic recently said that Cross Platform play is “inevitable”. According to reports, Sony is holding back on allowing Cross Platform play for an unknown reason.